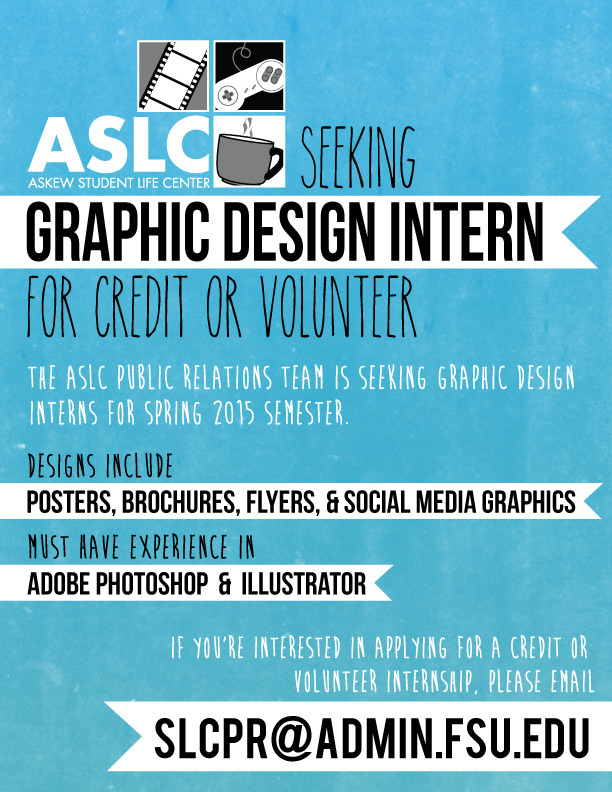 The Askew Student Life Center is seeking a graphic design intern (either for credit or on a volunteer basis) for the Spring 2015 semester. Designs include posters, brochures, flyers, web graphics, and more for the Student Life Cinema, Grindhouse Coffee Shop, and ASLC Game Committee. 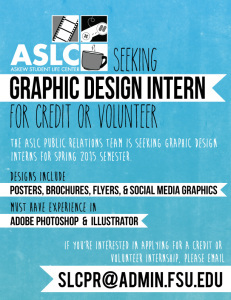 Must have experience in Adobe Photoshop & Illustrator.